Thoughtfully designed 4-bedroom 2.5-bath floor plan with private backyard. 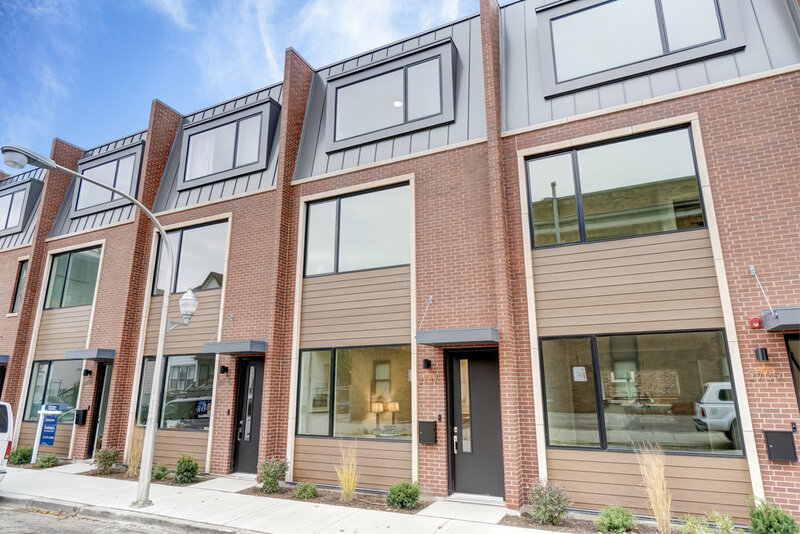 First floor open concept plan features 10’ ceilings and a contemporary kitchen with stainless steel Bosch appliances, custom cabinetry and quartz countertops. Kitchen flows to private landscaped back yard with privacy fence — ideal for entertaining and pets. Second level master suite includes dual closets and a master bathroom with large shower, double vanity, and fixtures by Grohe and Toto. Three additional large bedrooms on levels two and three — perfect for nursery, kids room, guests, or an office. Fiandre Italian Porcelain tile featured in all bathrooms and kitchen backsplash. Custom closets throughout. 1.5 block walk to the California/Milwaukee L Train and steps to plenty of dining and entertainment options. Immediate move-in.